JANUARY 2019 UPDATE: Where to start? 2018 brought many changes to Kush State! 30 acres were given to Kush State by the regional government to help further their growth. 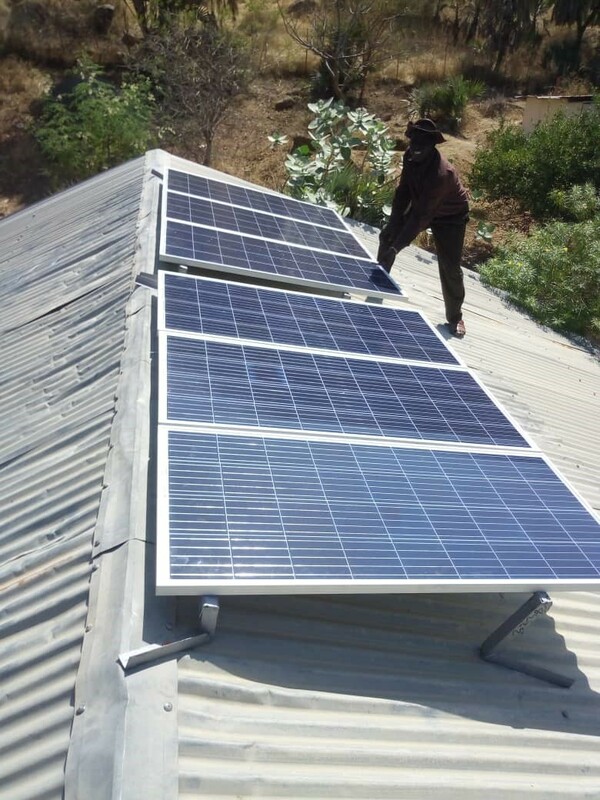 Thanks to two very generous donors we were able to bring solar power to the university in December. We hope to expand on this by bringing power to the dining hall and the computer lab in the future. Kush State now proudly offers a mechanics program. Thus far they have 75 students enrolled and 172 registered for the upcoming semester. The nursing program is still going strong with 198 students currently enrolled. JANUARY 2018 UPDATE: 201 students are enrolled and studying nursing: men and women, of various faith and ethnic backgrounds, united in their determined effort to build a better future! 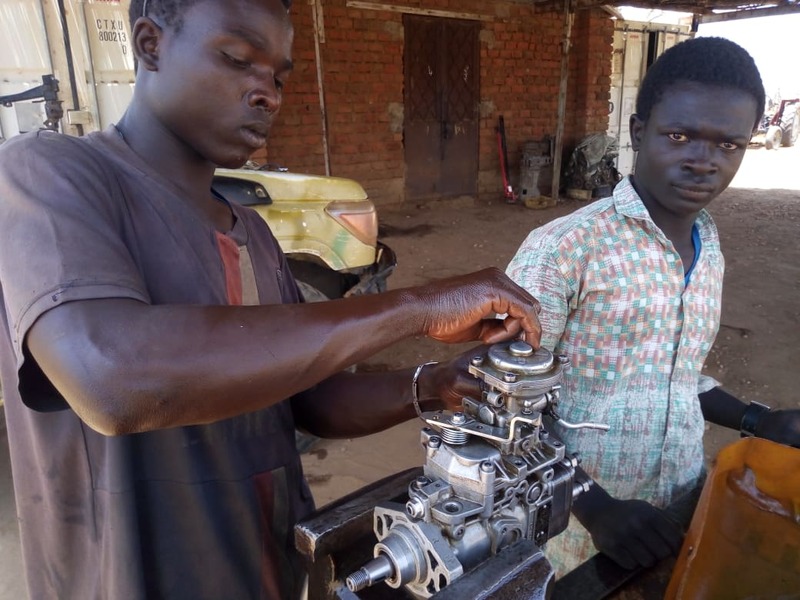 While elementary and secondary education are crucial to the children of Sudan and their development, post-secondary education is just as important, for it is the university students of today that will be teaching the generation of tomorrow. 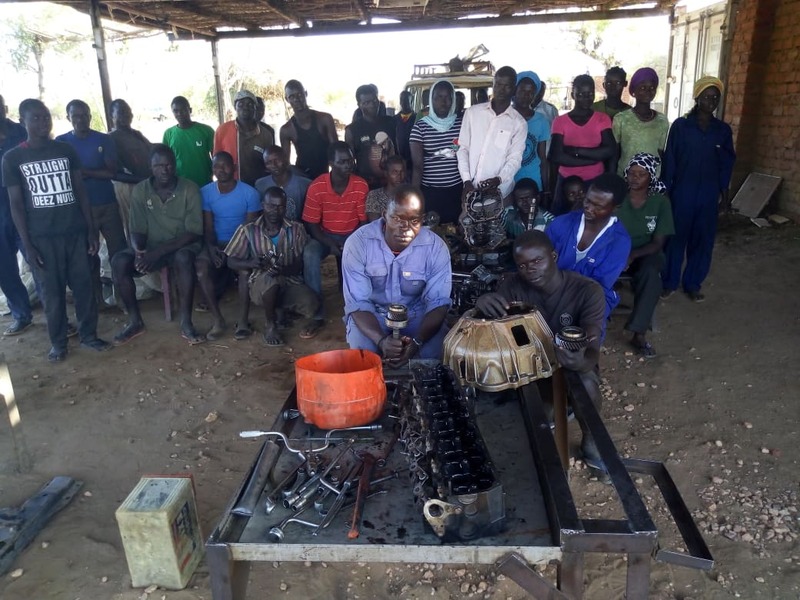 Kauda, in the Nuba Mountains, is one of the most remote areas in the world having little to no access to basic services such as running water, accessible roads, and higher education. Kush State University (KSU) vision is to create a self-sustaining university which would empower students from all ethnicities and backgrounds to thrive. 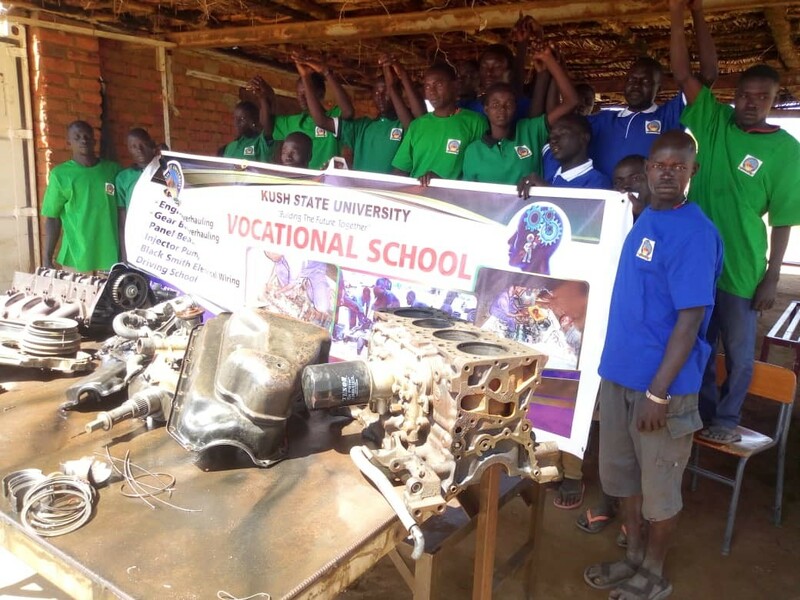 KSU will offer programs to students not only from South Kordofan, but the neighboring areas of the Blue Nile and Darfur. KSU already has many different programs in which students can obtain degrees including, but not limited to: Business, Medicine and Health Science, Agriculture, Education, and Political Science. The mission of KSU is to foster an environment in which students from different religious, tribal and ethnic backgrounds can come together and learn peacefully. Additionally, the school also hopes to equip students with necessary tools to engage in and better their local economies upon graduation. We are excited to be a part of this endeavor and are looking forward to what we anticipate will be very successful outcomes for these students. 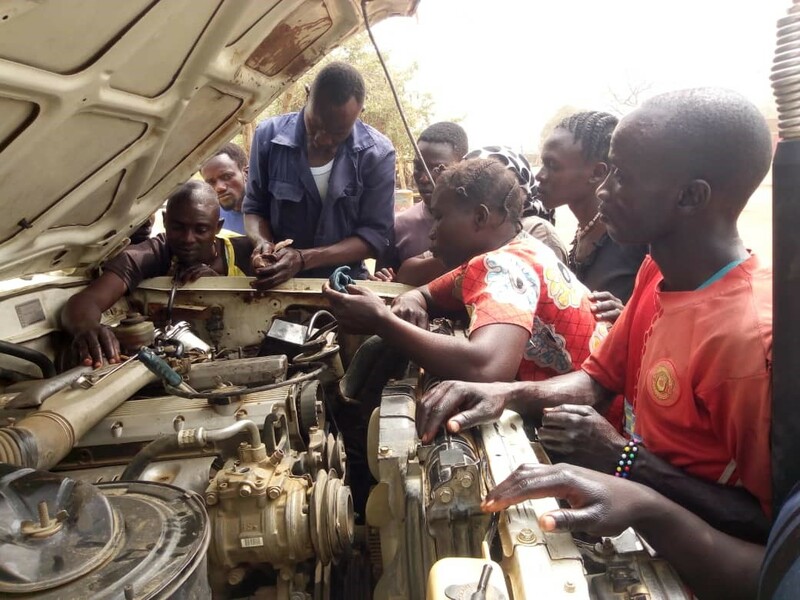 If you are interested in becoming a part of this opportunity to provide higher education in the Nuba Mountains, please contact us today! If you would like to stay up-to-date on KSU’s developments or learn more about the project, we invite you to subscribe to the KSU newsletter. 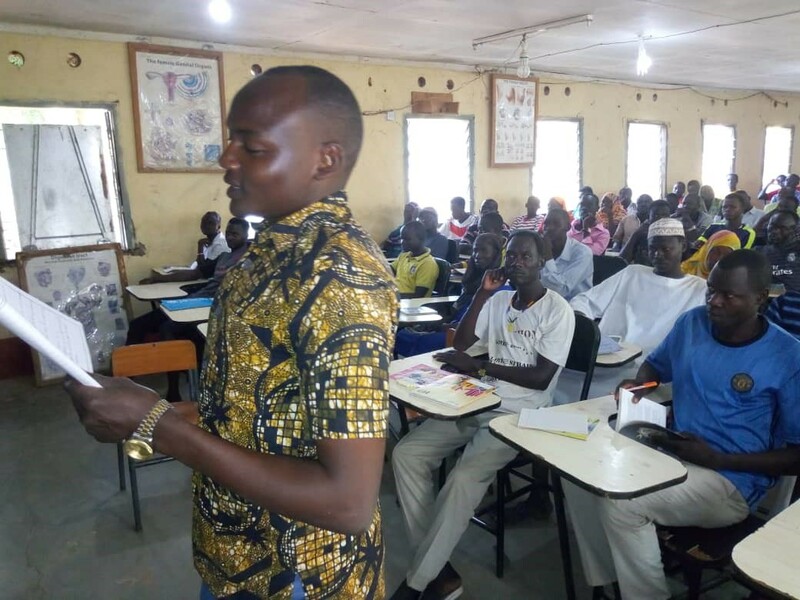 KAUDA, NUBA MOUNTAINS, SUDAN: Dec 27, 2016 – As students listen attentively to a lecture describing strategies for reforestation others are outside listening for approaching Antonov bombers, fearful that aerial bombing could resume in Sudan’s Nuba Mountains. The classroom can be evacuated in a quick scramble, as students and faculty take cover from the risk of barrel bombs. 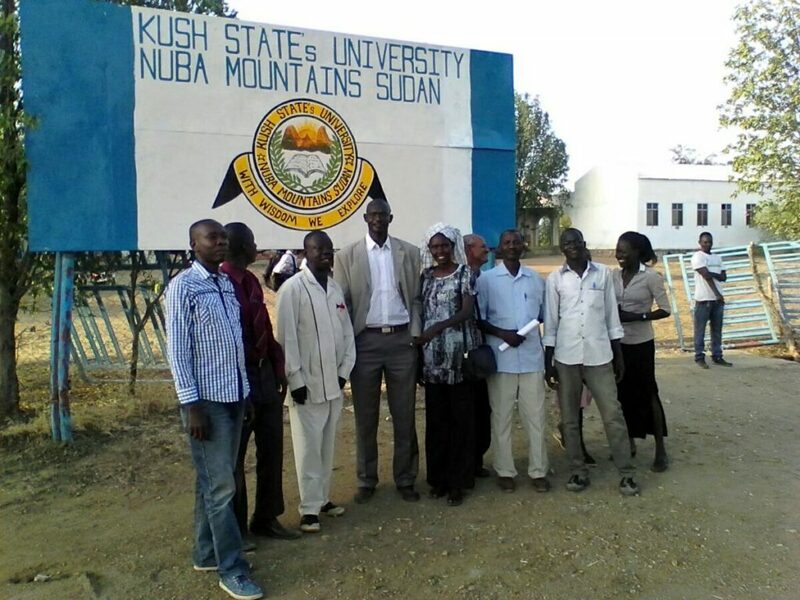 This fledgling school of 1,100 students, called Kush State University, is located in Kauda, one of the strongholds of Sudan’s rebels, who claim control of 80% of the Nuba Mountains. 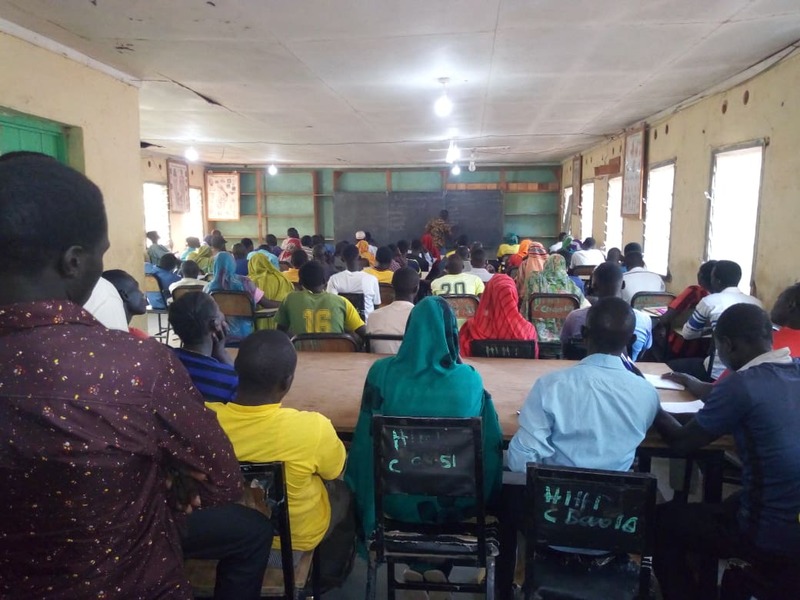 The school envisions itself as an antidote to the Arabizing and Islamizing tactics of Omar al-Bashir, the who has ruled Sudan since 1989, the only head of state in the world under indictment by the International Criminal Court. The current needs include compensation for professors, curricula, laptops, and satellite internet connections and air time. 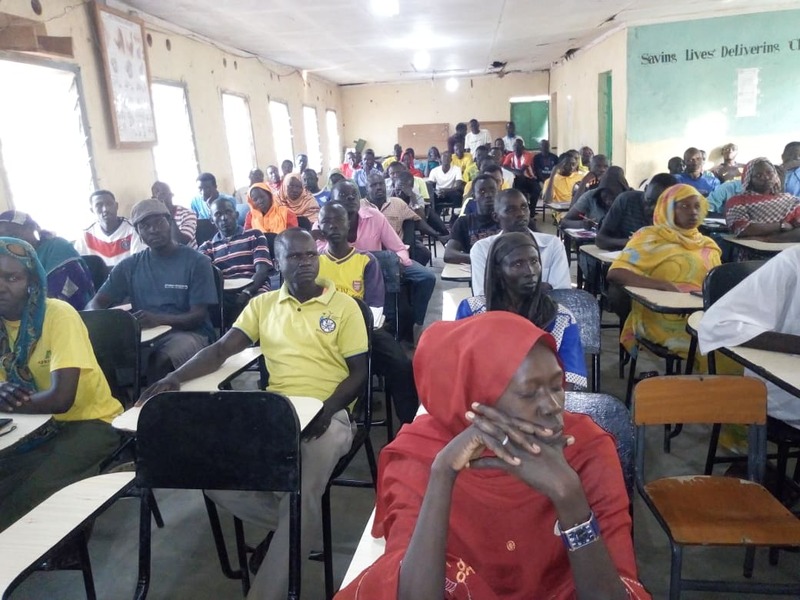 Sudan Sunrise, the US-based non-profit known for their work with the late NBA legend, Manute Bol, is KSU’s US partner and can provide speakers, further information, and channel gifts. Khalid Abbas, one of the founders, describes KSU as a secular university for men and women, and students of all tribal and religious backgrounds. 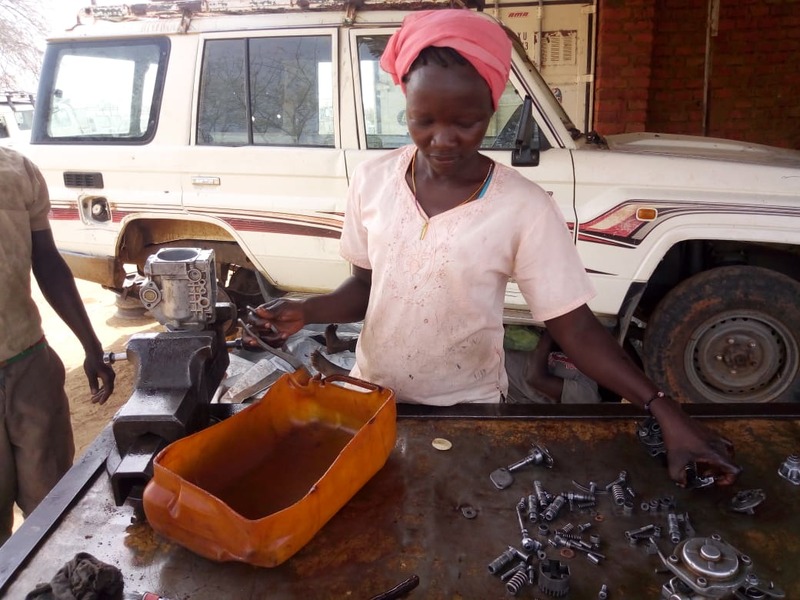 A particular aim of KSU is to provide university education to the underserved marginalized black African populations from Darfur, the Nuba Mountains, and the Blue Nile, who fall outside of Bashir’s utopian dream of imposed unity, due to their darker skin or non-Muslim faith. “We believe our diversity is our strength, and by working together we will unlock the door to a better future”, says Khalid. 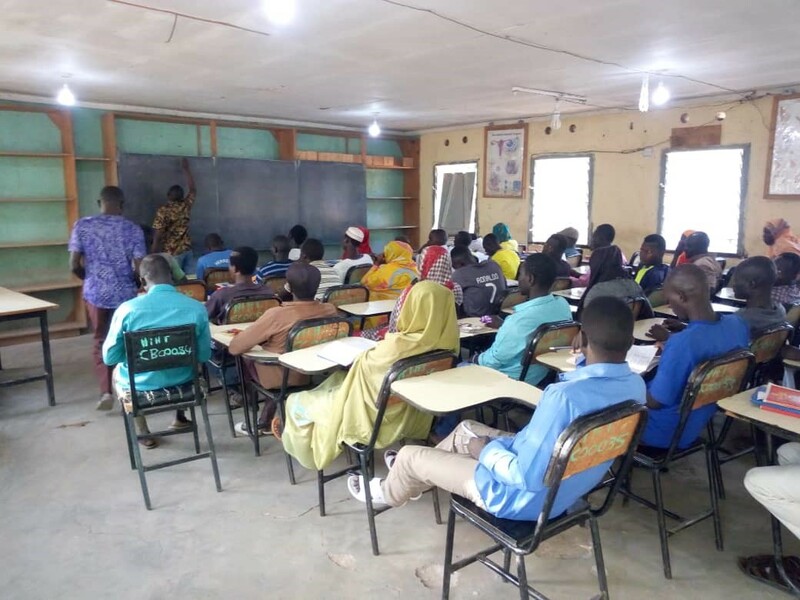 The need for KSU is the result of the emphasis on education by Nuban leaders, who first began providing primary schools, then secondary, and now see KSU as the means to provide university education for more than 3,000 students who have completed secondary school. While all Nubans have suffered under the bombing and ground attacks, Christians have been especially singled out. Sudan’s Armed Forces have leveled schools and burned a number of churches in the region. Without Khartoum’s interference, Nubans are known for religious harmony. KSU is determined to maintain and expand that religious harmony, by fostering cooperation among Muslims and Christians, standing for religious freedom and growing mutual respect through education. 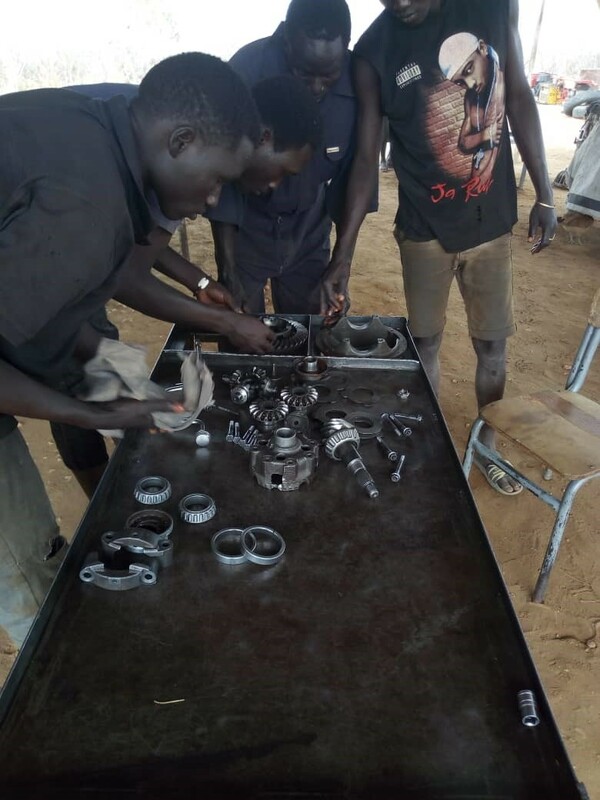 Students at fledgling Kush State University invite partners to help women and men, Muslims, Christians and all faiths improve KSU’s work in empowering the next generation among marginalized young Sudanese.